A whitepaper is a document often issued with the release of a new cryptocurrency to explain its Unique Value Proposition and describe details of how it will function. The Terracoin Whitepaper is frequently updated. This paper will discuss the history of Terracoin, The Terracoin Foundation, Terracoin’s current specifications, and The Terracoin Foundation’s goals for helping the world. 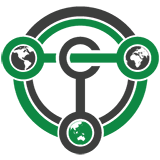 Terracoin was created by an anonymous developer on October 26th, 2012, making Terracoin among one of the oldest coins around. Eventually it fell into a state of abandonment and on February 13th, 2016, The Terracoin Foundation took over development and support. At that time the only difference from Bitcoin and Terracoin was Terracoin having double the coin supply of Bitcoin and a block time of two minutes. On block 833,000 Terracoin had its first hard fork. The Terracoin Foundation added Dark Gravity Wave (DGW) difficulty readjustment and merge mining. Besides these changes we kept the original specifications of Terracoin. The second hard fork happened on block 1,087,500. The Terracoin Foundation added DASH’s code of decentralized governance, masternodes, InstantSend and PrivateSend. However, The Terracoin Foundation introduced a modification to the DASH code. Where DASH burns the cost of a proposal, Terracoin puts the proposal cost back into the blockchain (see Proposal Cost below). Besides these changes we kept the original specifications and code of the first hard fork of Terracoin. Terracoin is minable with the SHA256 algorithm. Though SHA256 is relatively costly and extremely energy inefficient, The Terracoin Foundation decided to keep this method of mining and added merge mining to keep our loyal legacy miners. Merge mining allows someone with an ASIC miner to mine a variety of coins including Bitcoin all at once. This makes the environmental impact nearly zero as the energy and effort is already in use. A two-minute block time was chosen by Terracoin’s original anonymous developer. The Terracoin Foundation kept this block time as compromise between Bitcoin’s too long block time, and a too fast block time. This adds to Terracoin’s security and stability. Block reward halving happens every 1,050,000 blocks, which is approximately every 4 years. This reduced by half, the amount of coins generated by miners, masternodes, and the decentralized governance. Unlike DASH’s slow reduction of reward, The Terracoin Foundation decided to keep the original reward halving as it keeps a regular schedule and increases stability. Each block reward is split between miners, masternodes and decentralized governance. The split is 45% to miners, 45% to masternodes, and 10% to decentralized governance. This split rewards the miners for processing blocks while securing the network. It rewards the masternodes for securing the masternode network and processing InstantSend and PrivateSend. The masternode network can also be used for future innovations such as an application layer. The more miners and masternodes there are the more secure the network is against attack. The 10% to the decentralized governance is not part of every block reward but is distributed through the superblock approximately every 30 days. The superblock pays out to passing proposals in order of yes minus no votes in that month’s proposal queue. Terracoin’s max coin supply is 42,000,000 coins. This is double Bitcoin’s max coin supply. This number was kept through both hard forks in as to not devalue the coin needlessly and because it is a realistic number of coins. Double the max coin supply of Bitcoin will help insure the price is lower than Bitcoin so it still can be used as a currency and not just traded as an investment. Before the first hard fork the Terracoin network could be easily manipulated by miners because the difficulty was only adjusted every 1024 blocks. This meant a large mining group could mine TRC for 1024 blocks until the difficulty raised, and then turn their miners on another coin for 1024. This manipulation of the blockchain would only benefit strategic mining groups aimed at getting rewards faster. Dark Gravity Wave (DGW) changes the difficulty every block which increases security by stabilizing the network. Community members of Terracoin who have 5000 TRC can run something called a masternode. Each masternode is paid rewards in a random distribution to facilitate InstantSend and PrivateSend. Most importantly, owning a masternode allows for the masternode owner to vote on governance proposals. Anyone can put in a proposal to the decentralized governance for 10 TRC. Decentralized governances allow anyone with 10 TRC to put in proposals for budgetary funds. All masternode holders can vote on the proposals, and if they pass the proposal owner is paid on the superblock which happens approximately every 30 days. This allows the community to help influence the future of Terracoin, submit proposals to help their local community and expands the workforce. Since masternode owners have an active role in the future of Terracoin it also increases community activity. One of the major changes The Terracoin Foundation made to DASH’s code was putting the cost of a proposal back into the blockchain. With DASH’s code the cost of a proposal costs 5 DASH. This is there so that someone cannot spam the proposal system. These 5 DASH are burnt, so the max supply of DASH is always lowering. The Terracoin Foundation decided to charge 10 Terracoin per proposal but instead of burning the TRC, it is added back to the block reward. This makes a stable max coin supply and gives a bonus to block rewards as the number of proposals goes up. A core principle of The Terracoin Foundation is to improve the world while improving our blockchain technology. We all live on this world, and with non-voting Terracoin Foundation owned masternodes and proposal based local donations we can make an impact around the world and in our community’s local areas. Any masternode owner can put in a proposal to the decentralized governance to help their local charity, or a local resident. When TRC holds the price of $1 USD for a month, The Terracoin Foundation masternodes will use half of their net profits to donate to community picked worldwide non-profits. The other half of the net profits will be turned into more Terracoin Foundation owned masternodes to increase the amount that can be donated each month. Anyone can also donate TRC to a donations address and this TRC is turned into more Terracoin Foundation masternodes. The long-term goal of The Terracoin Foundation non-profit side is to cut out the middle men of philanthropy and create a fast-acting team that can react to crises around the world and help in a real and impactful way. Since we use a public ledger and blockchain technology all The Terracoin Foundation’s expenditures will be fully transparent. Cryptocurrency technology is constantly changing so Terracoin must also be constantly innovating. We use community suggestions to sort through the next technology to advance Terracoin. We do this because there are so many different new technologies springing up that it’s impossible for one person to keep track. While we innovate tried and tested new technology from other coins, The Terracoin Foundation is also dedicated to creating our own. We will do this by attracting developers and team members who believe not only in our cryptocurrency but also in our long-term goals of helping the world. Terracoin uses a mixture of Bitcoin and DASH code to achieve a very secure and fast blockchain. With our SHA256 algorithm, merge mining, block rewards, and coin supply we are stable and valuable while still being useable. Our decentralized governance and masternode code helps spread and unite a community who has a true voice in Terracoin. Lastly, our dedication to helping the world through The Terracoin Foundation and proposal based donations helps market the coin to an ever-growing community.